Additional information listed below will be updated as we have more questions submitted. If a shooter needs to miss a week they will need to shoot a pool score which needs to be declared prior to shooting and can only be used 1 time. 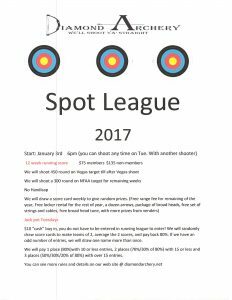 Shooters must pay for league prior to shooting. Please ask us if you need any clarification and we will list it to this page.